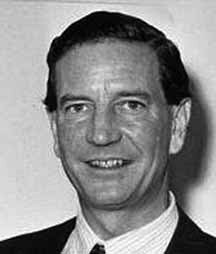 In fact, Kim Philby, who spied for the Soviets during the hottest period of the Cold War, observed in his 1968 book, My Silent War, that secret documents, though glamorous, are frequently a snare and a delusion. — Spoken by Brooke Gladstone of WNYC’s “On The Media” on National Public Radio, Dec. 3, 2010. George W. Bush has a heart attack and dies. Obviously he goes to Hell, where the Devil is waiting for him. George W. thinks that sounds pretty good, so he agrees. The Devil opens the first room. In it is Richard M. Nixon and a large pool of hot water. He keeps diving in and climbing out, over and over. Such is his fate in Hell. The Devil leads him to the next room. In it is Tony Blair with a sledgehammer and a room full of rocks. All he does is swing the hammer, time after time. “No! I’ve got this problem with my shoulder. I would be in constant agony if all I had to do was break rocks all day.” George W. says.